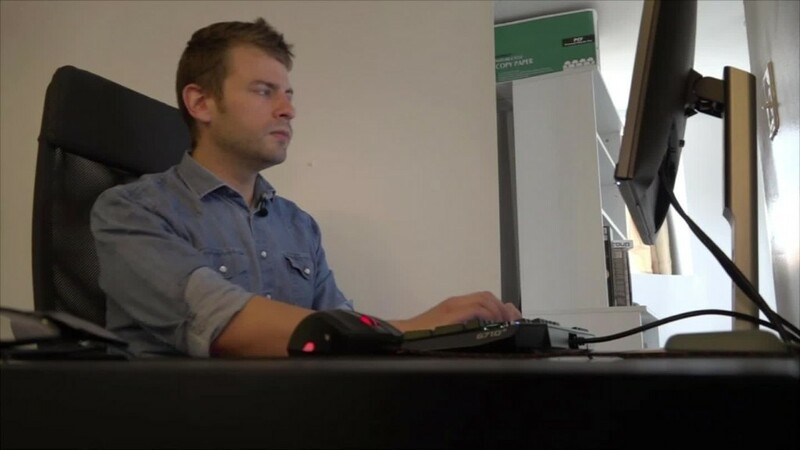 A lawyer and artist in Washington D.C. hopes to gain tens of thousands of dollars from a prescient decision he made years ago. Jeremy Peter Green, a 28-year-old who goes by the pen name Jeremy Pegg, bought the ClintonKaine.com domain for $8 in 2011. Now that Hillary Clinton is officially the Democratic Party nominee for president and has chosen Senator Tim Kaine as her running mate, Pegg says he wants $90,000 in exchange for handing over the domain name and control of the site. "I'd like to build a solo legal practice [with the money]," Pegg told CNNMoney Wednesday. Pegg, who calls himself a socialist and originally a Sanders supporter, said that he had a feeling Kaine would likely become a running mate because Obama had sought Kaine out before Biden. But he also bought ClintonBooker.com and ClintonBiden.com, as he thought about possible VP choices. For now, Pegg is using ClintonKaine.com as a place to show off his comics and penchant for Harry Potter. There's currently an illustration of Hillary Clinton as a wizard fighting off Donald Trump, depicted as a Voldemort-esque character. 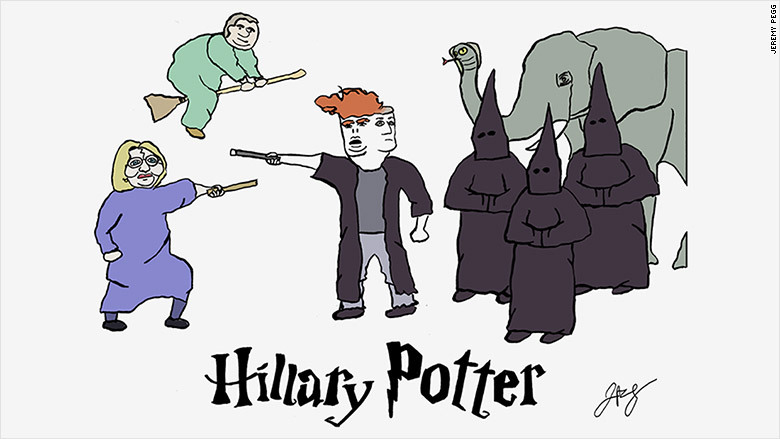 The words "Hillary Potter" are drawn beneath the image, and there's even an accompanying story about the character versus "He-Who-Must-Not-Be-Elected." "Hillary Potter" illustration on ClintonKaine.com. Some cybersquatters like Pegg use political domains as a way to taunt opposing candidates or policies. Pegg says his intentions are less dramatic ... for now. He wants the best price he can get for the domain, but if the Clinton campaign refuses to buy the site, he said he "may put something less friendly up there." "I'm kind of helping the campaign by making Donald Trump Voldemort," Pegg explained. "I'm going to stop giving them free advertising and may have to do something embarrassing." A spokesperson for the Clinton campaign did not immediately respond to request for comment. But Pegg claims "ClintonKaine" is his trademark. "It was my fan fiction site before she ever announced Kaine," he said. "With the lawyers they'd spend on, trying to sue me, they could just buy the domain." Pegg says he'll start contacting a list of potential buyers after the Democratic National Convention wraps up in Philadelphia this week. On his list are the Clinton campaign, the Trump campaign, super PACs and "wealthy people." "It's a way a rich person can effectively contribute $90,000 to a campaign without violating election laws," Pegg muses. Other Clinton-Kaine related domains like Electclintonkaine.com and Clintonkaine2017.com are listed for auction on GoDaddy for as much as $35,000 and $50,000. Meanwhile, Pegg's ClintonKaine.com has a minimum bid of $25,000 on Flippa, another domain auction site.